Guinness is not just for St. Patrick’s Day ! Much like the saying about ‘A puppy is not just for Christmas :). It’s also good for you. It says so right here. Now, far be it from me, to deny an article posted on the Interweb. 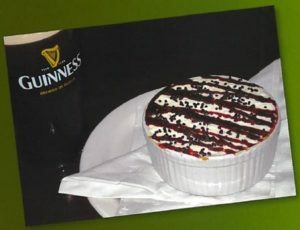 Of course, if the stout, in pint form isn’t for you, try the Guinness Stew OR Guinness Chocolate Cake.